The Atami Wilma XL is an active hydro version of a drip irrigation system. 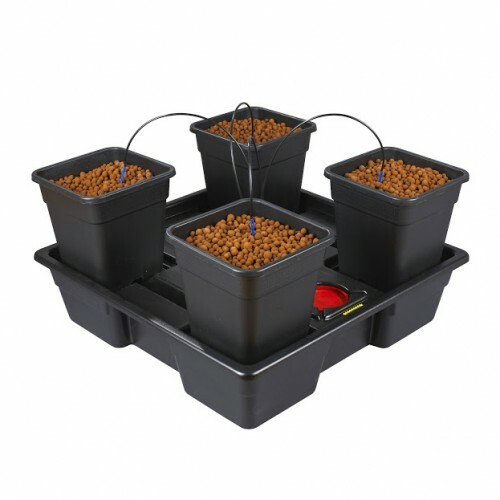 Plants benefit from the accurate feeding of active hydroponics, combined with the flexibility of growing in pots. Pots are placed on a tray above a nutrient solution tank. Plants and drippers are placed in the pots with the chosen growing medium - clay, coco, soil or rockwool. Set the irrigation frequency with a timer, which triggers the drippers to automatically feed the plants. 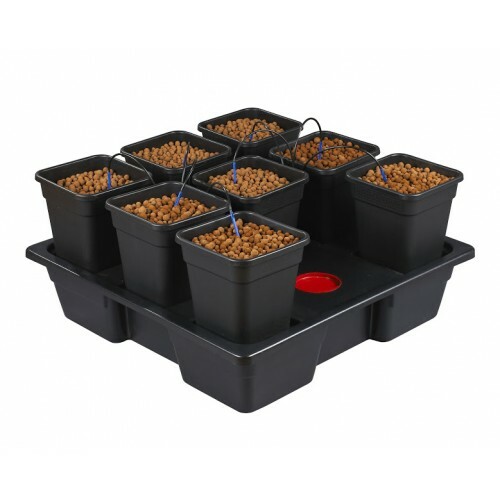 The nutrients solution works its way through the medium and over the roots of the plants, draining into the catchment tank and drawing oxygen into the root zone. The wilma Offers the flexibility to be used as an irrigation system with a tank to catch the run off or as a fully re-circulating hydro system. The Atami Wilma XL is an active hydro version of a drip irrigation system. Plants benefit from the a..